Dhaka: The 15-man squad named by Bangladesh features an experienced core with plenty of young players as well. There are plenty of young players as well. 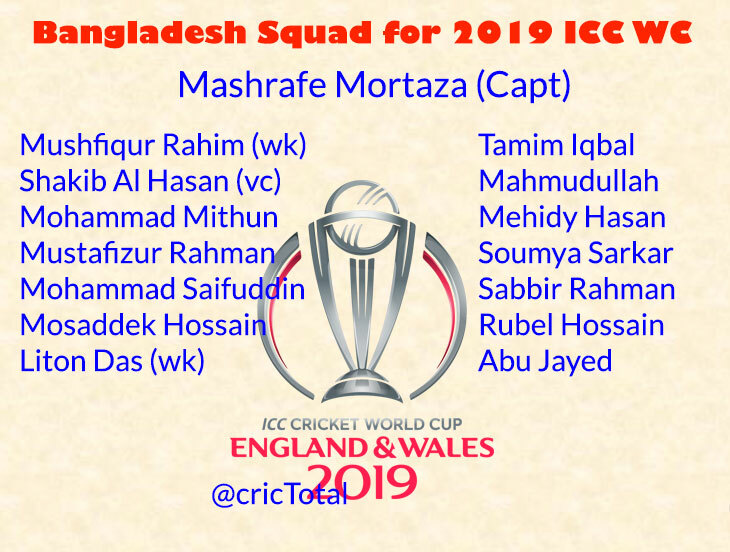 Liton Das, Mehidy Hasan Miraz, Mohammad Saifuddin, Mustafizur Rahman, Soumya Sarkar and Jayed are all aged 25 or younger. In addition to the 15 that are set to play in the World Cup, uncapped players Nayeem Hasan and Yasir Ali have also been named in the squad that will travel to Ireland for the tri-series. The former was in the ODI squad during the New Zealand tour but didn't play a game.